The story of how Crowd Cow morphed from dream to reality. Crowd Cow‘s protocols and standards. How Crowd Cow aims to make it convenient to buy directly from small farms. Crowd Cow‘s criteria for partnering with pasture-based farmers. Today I’m speaking with Joe Heitzeberg, co-founder and CEO of Crowd Cow. 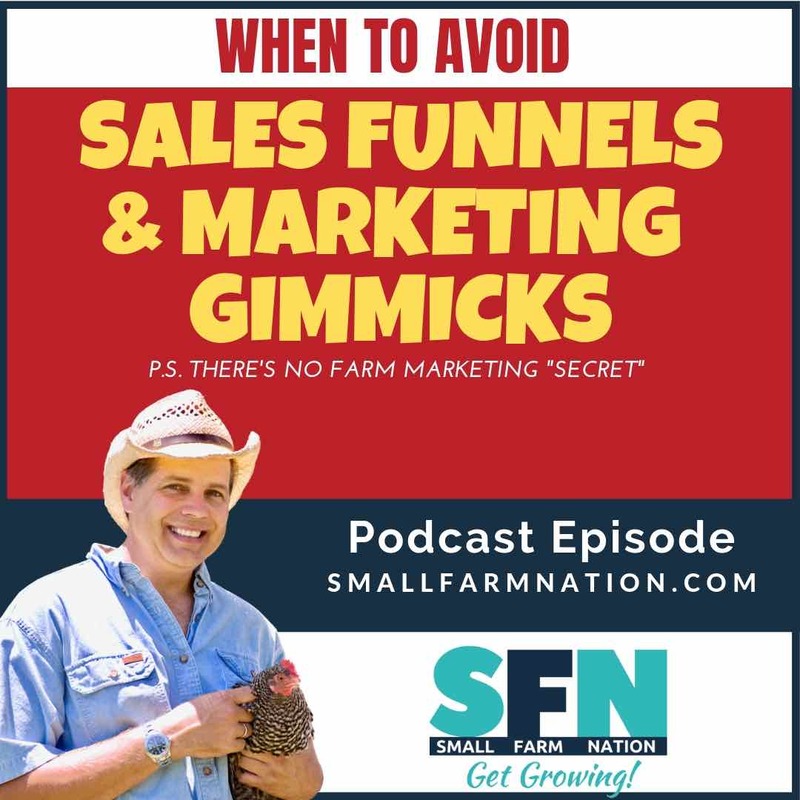 I’ve got a fascinating episode this week as we examine one of the biggest problems consumers face when wanting to buy directly from farmers. And that problem is, it’s inconvenient. Joe’s not a farmer—far from it. He’s something of a serial entrepreneur having started a number of tech companies. But a few years ago he became enamored with the whole idea of buying meat directly from a farmer. You’ll hear him tell the story in a few minutes, but it’s a transformation that I, and many of you, have gone through as well. Joe is also the author of Craft Beef (available on Amazon). Joe was a typical consumer who bought meat at the grocery store, giving little thought to where it came from or how one cut of meat could possibly be different from another. That all changed when a co-worker bounced down the hallway of their Seattle offices exclaiming, “I’m so excited! I’m getting my cow this Friday.” Joe couldn’t imagine what it meant to “get a cow”, especially in downtown Seattle. But when the co-worker described how much better the beef tasted and the relationship he had with the farmer, Joe was hooked and decided he, too, had to get a cow. Now, for a lot of people, the story would end there. But when you give an idea like that to an entrepreneurial-minded person, it tends to become more than an idea. It becomes a business opportunity. Joe and his partner Ethan launched Crowd Cow in 2015. 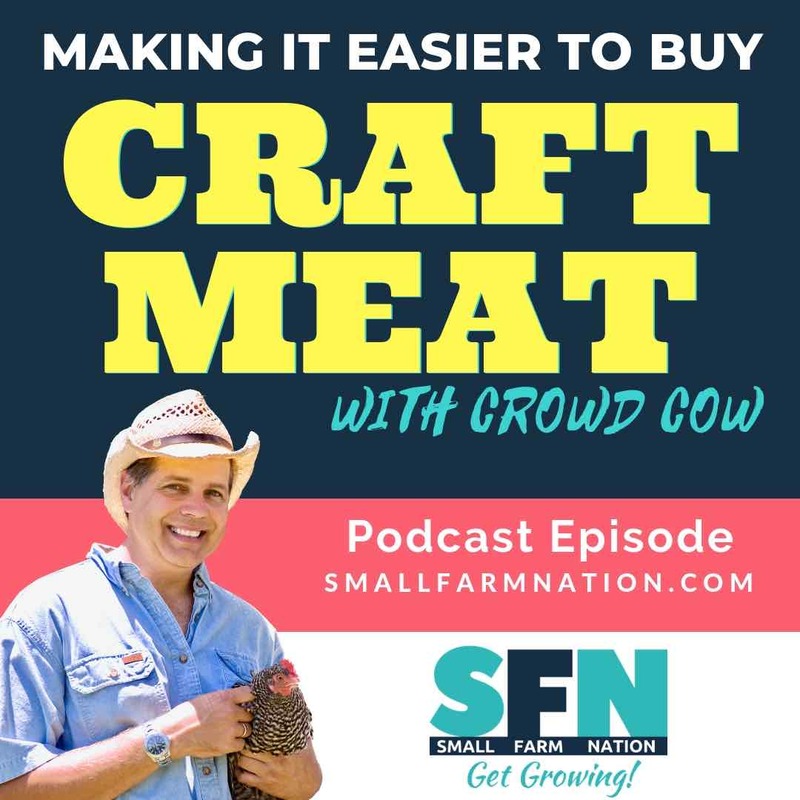 It’s an interesting business model that is endeavoring to make it easier for farmers and consumers to come together and celebrate what Crowd Cow calls “craft meat.” As a bonus, Crowd Cow is offering Small Farm Nation fans $25 off your first order! Let’s find out what Joe means by that and listen into the story of how an innovative business is born as Joe and I discuss the story of Crowd Cow. 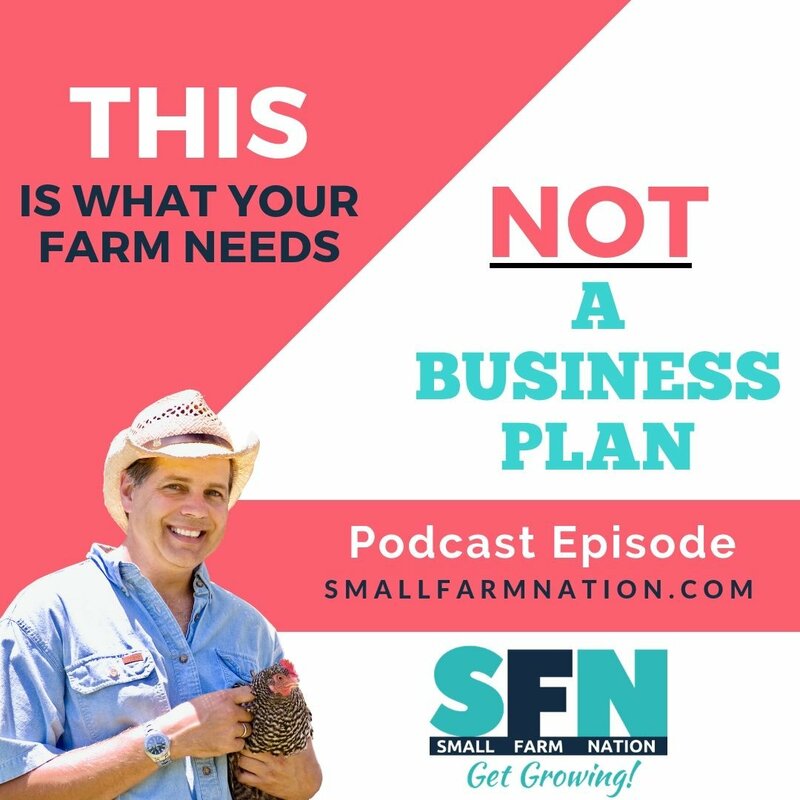 Tim Young: [00:00:00] Small farm nation is sponsored by farmersweb.com, software for your farm. farmersweb.com helps farms inform buyers of available product handle orders simplify customer interactions and reduce the administrative load so check them out at farmersweb.com. Tim Young: [00:00:41] Hey there. Thanks for joining me again this week. 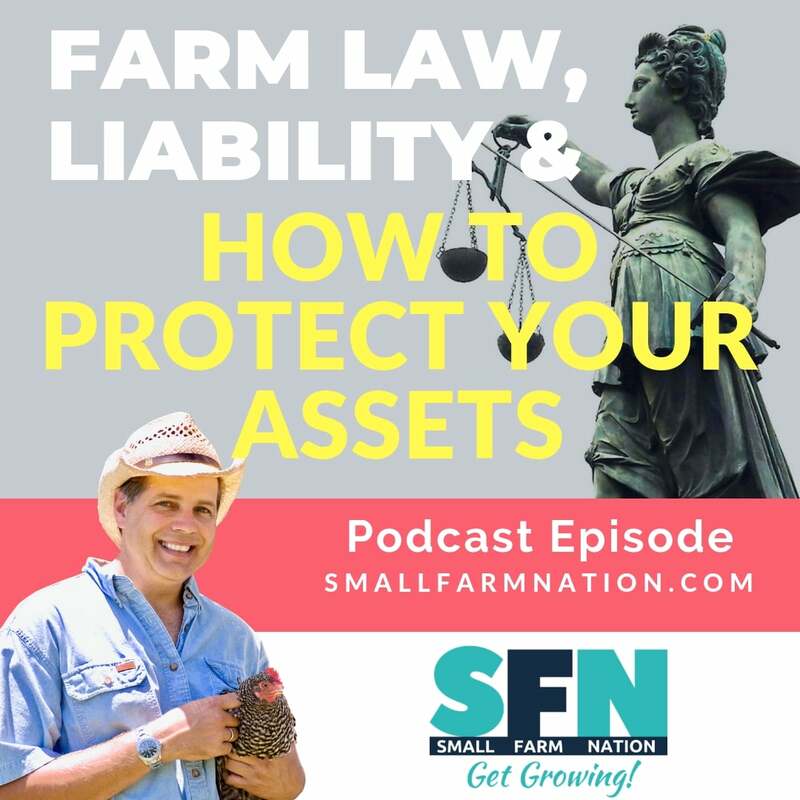 I’ve got a fascinating episode as we examine one of the biggest problems consumers face when wanting to buy directly from farmers. And that’s the problem of convenience or it’s inconvenient. It’s a problem that we farmers face as well getting our products to customers. So today I’m speaking with Joe Heitzeberg who is the co-founder and CEO of Crowd Cow. Tim Young: [00:01:05] Now Joe’s not a farmer. Far from it. 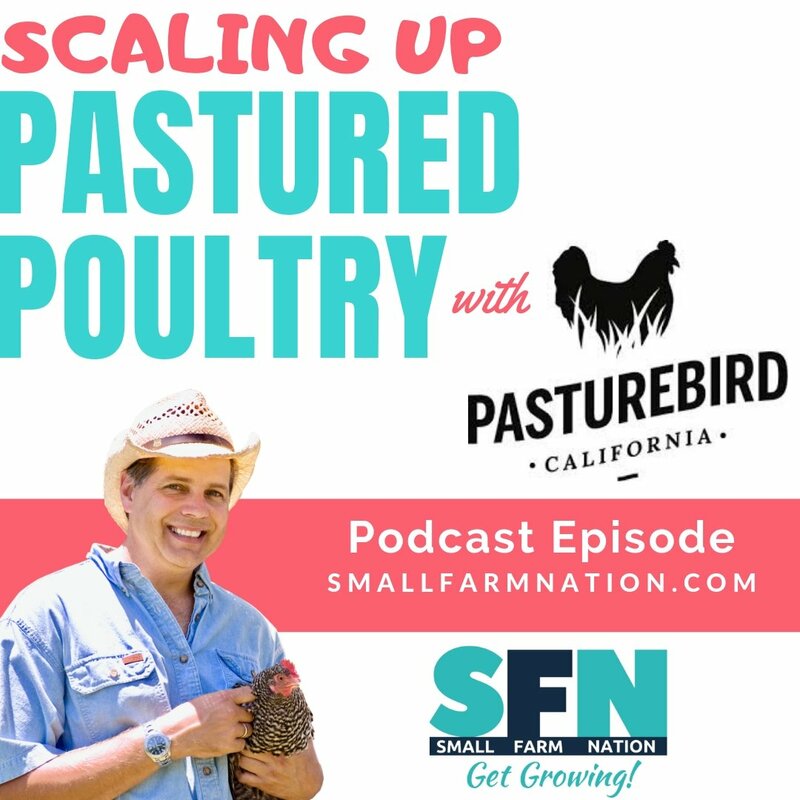 He’s something of a serial entrepreneur having started a number of tech companies but a few years ago he became enamored with the whole idea of buying meat directly from a farmer. Now you’re going to hear him tell the story in a few minutes but it’s a transformation that I and maybe many of you have gone through as well as some of us have opted out of the rat race and rediscovered where food comes from. Now Joe was a typical consumer who bought meat at the grocery store and gave little thought to where it came from or how one cut of meat could possibly differ from another. And that all changed when a co-worker of his bounced down the hallway of their Seattle offices exclaiming I’m so excited I’m so excited I’m getting my own cow this Friday. Tim Young: [00:02:50] Joining me today is Joe Heitzeberg CEO and co-founder of Crowd Cow. Now if you’re not familiar with Crowd Cow the company is on a mission to help people discover and access the highest quality craft meats and to bring people together. And what I think they mean by that by bringing people together is I think they mean farmers and consumers and families and friends. So basically they’re speaking our language small farm nation. Now Joe has been a busy busy busy entrepreneur having founded several businesses prior to Krakow in the tech world. He started snapvine which he sold the white pages. Then he started media piston which he built and sold to up work. Then he co-founded Medrano Venture Labs which was an in-house startup incubator. So Joe I’m out of breath. 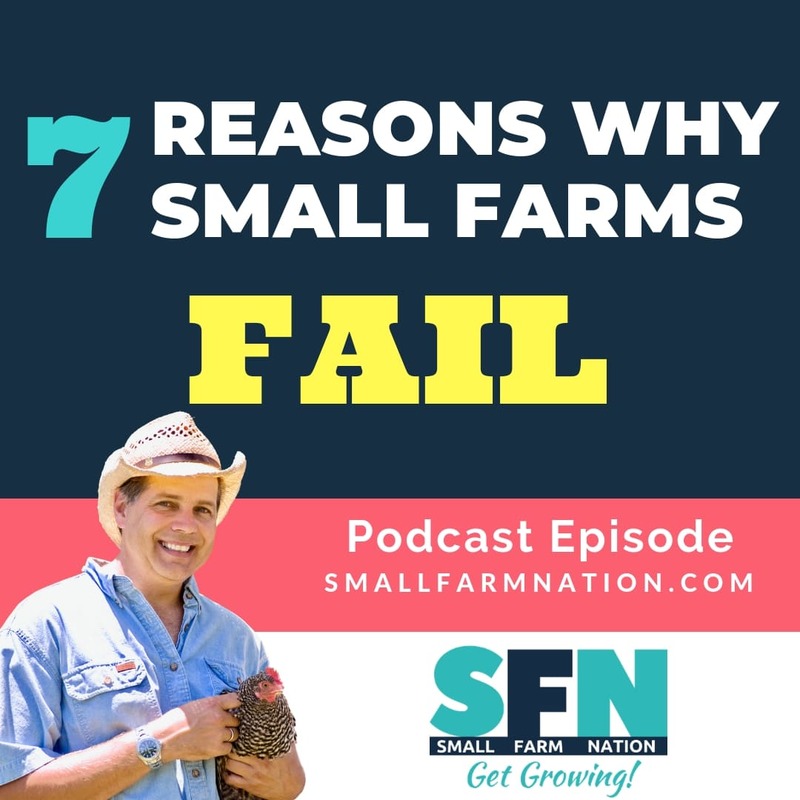 Welcome to small farm nation takes time. Joe Heitzeberg: [00:03:38] It’s great to be here. Tim Young: [00:03:39] Now you and I haven’t met but we share a background in entrepreneurship. I mean after running B2B marketing businesses for over 20 years I walked away from corporate America and I started a pasture based livestock farm. 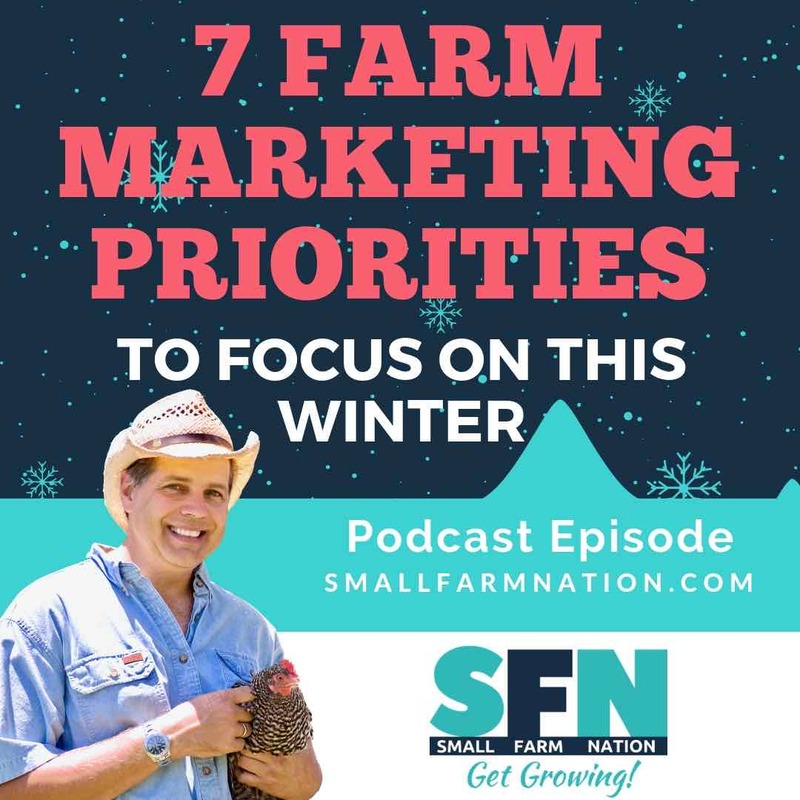 Even though you know I had never farmed before and a key reason I did that was I had become really frustrated and kind of disillusioned that I couldn’t even describe to a child or to my mother what it was that I did in that B2B corporate world. I mean the business world had become so darn complicated that I could. I found myself longing for something a bit more real and easily understood like farming. So I’m curious I’m curious about you. What inspired you to transition from purely tech plays to bridging the gap between those who grow food and those who eat it. Joe Heitzeberg: [00:04:25] Yeah well part of it was having a kid you know I’ve got a kid. He was gosh how old is he when we started the company four years old I guess he’s eight now right about that age where they kind of figure out how the world works and how it’s fitting together. And it’s not just you know I fall down I hurt I cry but it’s a little more sophisticated than that. And they ask him questions about the world and you as a parent and trying to set a good example with a work ethic and working on meaningful things that they can relate to as part of how you do that to truth whereas it comes from why it’s important there where it comes from why it’s important eat healthy where your dollars go to your dollars are supporting I mean the connection back to the source of it and how that affects your body your health your future. It’s part of my job as a parent. So largely inspired by that is why I kind of I didn’t see it as a difficult leap to make. And also because you know as an entrepreneur you’re just a problem solver you’re you’re you’re identifying opportunities and problems and you’re like well I can figure out how to solve it. Joe Heitzeberg: [00:05:33] And if I don’t I can get help and you know along the way it’ll be a fun adventure. And we’re going to meet people and accomplish things and step by step we’re gonna build something meaningful to hopefully have an impact. And to the extent that that is working you keep doing it. And in this realm of like in L.A. everywhere I look it’s it’s working because I can demonstrate to my my kid can help me taste test the different farms. You know we’re helping connect consumers to those farmers. We’re giving those farmers a spotlight and they’re in the world of commerce that they don’t usually have which feels really good on all fronts. So what makes it really easy. Tim Young: [00:06:13] Yeah. So that’s interesting. So when we talk about entrepreneurship I mean you know what it’s like to have to act on an idea to have an idea to act on an idea and start a business. A lot of people actually get stuck they are kind of you ready aim aim aim aim. People may never really act on an idea. So what’s the story of crowd cow. What was the idea. Was there a problem you identified that you wanted to solve or did you have some sense of some source of inspiration that you just acted on. Joe Heitzeberg: [00:06:41] Yeah for sure there was inspiration we had a guy who I worked with named Brendan you know kind of who’d worked for my co-founder Ethan in a prior job he technical guy a software engineer you know. But he came to work with Dave was really excited because he was like really visibly excited like Oh I’m so excited. Why on Friday I’m getting my cow. And I was like What are you talking about. You know we’re like downtown Seattle the IRS getting your cow What are you talking about. He’s like well I’m getting the beef about the whole animal we buy our beef by buying an entire cow from a farm on would be Ireland and he described the farmer and the name of the farmer he visited them several times I’ve been doing this for years and would be Ireland is one of these places if you live in Seattle that you would go on a three day weekend and get away from it all and be in the countryside where it’s beautiful Irish clean do a little kayaking out there see some workers pick some blueberries you know it’s just a beautiful place. And you know getting your beef from there. That sounds pretty good. And he said and the beef is just so incredibly delicious. So he knew something about the farm you knew the how the farmer cared for the animals and his family his own family he was doing it I was on tradition he had raised this beef that tasted better. I’m like wow can I have some. And he’s like Well sorry we have this tradition where we get in my kitchen with four of my neighbors and we go round robin and everybody gets their piece. Joe Heitzeberg: [00:08:16] And at that point I was like well how much beef is it like. It’s not five hundred fifty pounds of beef. I got what I had no idea. It’s just a complete newbie on this. And I said Wow so you’ve got this beef you want you’re driving a truck out there to go get it or something like that. You’ve got like a giant meat freezer and stuff and you get like wow what what a pain in. And you won’t give me two steaks I’m so jealous here. Well who is the farm can you introduce me. And he goes Well I could but they only slaughter once a year so it’s like killing me. I built it up as so much better than what I as a consumer you know have available to me you know because I can just right now go to any grocery store in Seattle and I’m just gonna hit the meat counter and it’s just kind of an intimidating place like the people I like you know these different cuts and you kind of embarrassed to ask questions about it and is the meat these labels that don’t really mean much like I. Like organic beef. What does it even mean you know you ask what is level three a whole foods a welfare you know guy band accountable turned white can’t tell you you know. And as I’ve gotten into this world now many years into it it turns out the guy behind the counter can’t even tell you what country it came from. Tim Young: [00:09:35] Right. Right. So so so you heard Brendan’s story and Britain’s enthusiasm and plus not just enthusiasm but it’s also an element of scarcity like hey he’s got something that you don’t have and you really wanted that. But the first stumbling block that you encountered whether or not you thought about this or not consciously but the first stumbling block is yeah but I don’t want to have an industrial freezer I want what you have. But I wanted on a smaller scale. Joe Heitzeberg: [00:09:59] Correct. We know the light bulb moment was Ethan really saying I took this you can talking about Brendan you know and Ethan said well yeah I’ve done about this too. And but no calls a vegetarian that’s Ethan’s wife so I’m definitely never doing that. But beef and said there really should be a way that like imagine you’re on your couch with your iPhone just kind of scrolling through you can do you a video of the farm you know meet the farmer virtually learn everything about them and there’d be like a cow for sale right. The original idea would be like one cow for sale on a web page and you could just buy five or 10 pounds of it and you and your friends and just random strangers on the Internet could all kind of crowdfund the cow right. And we riffing on that idea like crowd funding cow. What if what if 50 people bought a piece of the cow together and when all the shares were claimed the cow tips just funny and then you know you become stakeholders in the cow is hilarious right. So that idea kind of went to this funny place was I can imagine that website with the video and you tip the cow becomes difficult. It’s too fun to not do it you know. Joe Heitzeberg: [00:11:07] So we thought I could it was like the next day we’re like I can’t keep it I can’t stop thinking about that. It wasn’t a business idea. It was a discussion around how difficult it must be to find a farm. You got on Google you can’t find them in Web sites are any good information’s limited. Right. You got to. Once you do find one they still don’t slaughter regularly. If somebody drives a truck up there you’ve got to have two big trees all these problems and challenge. But you know if the other side of that is a healthier beef that’s been raised better taste better. Got you have a connection to the farmer you feel good about you’re the better mealtime experience. But there’s all that friction that’s just an entrepreneurial problem to solve right. And then the solution with like tip the cow becomes steak it was so fun like we got to do it right. So we asked friends about you know here’s the idea. Elevator Pitch you know for the idea. And every single one of them was like Nope I’d never do that. I’m a vegetarian. Or or they were like I’m totally down for that. I’ll do it tomorrow. And so we went to like friends love you they want you to succeed. Joe Heitzeberg: [00:12:10] So we went to a Starbucks cafe like the nearest one on the spot we built called a couple friends you know 10 friends each went to a Starbucks cafe was one of the random strangers. Excuse me sir can I talk to you about beef. No that’s weird but we have this idea you’ve heard of this thing of like buying a whole cow. I know what we can do. What if we made that easy. We just sort of talked about that and people were like again they were like Nope I’m a vegetarian. They were like or they’re like yeah what’s the URL you know. Tim Young: [00:12:42] What was the next step because you know as you know better than I do or at least as well as I do it’s one thing for people to express an interest. But what you’ve got to do is get them to open up their pocketbooks and directly give you a buying intent. So how did you validate that. Joe Heitzeberg: [00:12:57] Yeah. Bingo. That was exactly our next really goal. It seems to be very good strong interest random strangers asking me for the U.R.L. you know. So we got to get a test website up that looks real you know and is a real enough to take their credit card right. And then of course we’re not going to fake it. We got to find a cow and you know and buy a farm and we’ve got to be able to ship yours if we do sell a cow this way and figure that out but if we don’t sell the cow you know with this test then you and I are gonna buy that cow anyways. To be fair to the farm and then we’re going to have to buy meat freezers and we’re going to you know call it a day and we’re done and we’re going to have too much beef but not a bad outcome either. So we decided to do it. We started building the website prototype to look you know with credit card payments and all that we’re engineers. That’s easy for us to do that. Couple of weekends and then we found farms. We our market research wanting to butcher stores went online and started making phone calls. I got to tell you a lot of like we’re sorry this voicemail has not been set up yet. Joe Heitzeberg: [00:14:02] Yeah. Well we learned right away as like wow these farms are not online. You know they’re not connected even the ones that go to the farmers markets aren’t necessarily. So it was a lot of like gee this is this is gonna be hard to to reach these guys. And there was a little bit of early doubt around like this but this idea of an if for successful works because it’s just so hard to find these farms. How many of them are there was a lot of lingering but was like put all that aside let’s try to do a test and we did the test and we sold out the first cow in the first 24 hours and we had most exciting thing for us definitely was when we emailed about 100 of our friends and sold the cow out but the most important part was a lot of the friends at Ford that you know on to their friends. And so we had orders from total strangers that we didn’t know personally. So like wow this Debi person in Chicago like wow you know never. That’s amazing some random stranger has put their good hard earned money on a website that didn’t even exist 24 hours ago. Tim Young: [00:15:03] That’s awesome. So how much time was there after that you sold the cow you guys are really excited both because you had a really fun test that happened it’s a fun thing and your pain you get some meat out of it I hope you hope you release one of the people that gets the meat out of it but how much time between then and the next stage where you say Okay now let’s try to do this again we had to. Joe Heitzeberg: [00:15:22] It took a good month just to month month and a half and my recollection just to get the first order shipped out because we’d actually you know there’s that’s beyond the slaughter a butcher and dry aging right or slaughter aging and butcher process then another full month just to figure out how the heck we’re going to ship this in boxes to people and get it out there in the mail. We wanted to test what is packaging and how to get shipped and just a lot of learning. And we had to beg for like where we get factory orders. We tried to get the butcher to give us half an afternoon one day. We tried to pitch them on the idea that like hey maybe this could be a business line for you. We’ll be the online guys you can be the order fulfillment and butcher add to your business and together we can grow and then they. That was a tiny little butcher. And the day of that we were supposed to put on a pack orders like the day before. He was like one of my drivers just quit on me. I got to make a run in Portland Sorry guys you’re out of luck and we’re just like Oh you’re kidding me. So we had to I had to call my friends in town and do you know anybody who has a warehouse space or something because I’ve got like 500 pounds of meat that’s going to be dropped off tomorrow at 1 p.m. and then I’ve got to get my wife and I to pack the orders in place to do that. It was like crazy scramble. It was it took us a lot of it took us many hours to pack 50 orders to decide what was like. Tim Young: [00:16:53] So we kind of got a sense of what you were looking for when you started and you guys were testing you and you talked to some random people and some friends but you know now that you’ve been going for a while. What are you finding. I don’t know what kind of market research you do if you do surveys of your customers or whatever but what are you finding that customers want from you guys that they’re not able to get in another way. Joe Heitzeberg: [00:17:15] Yeah. 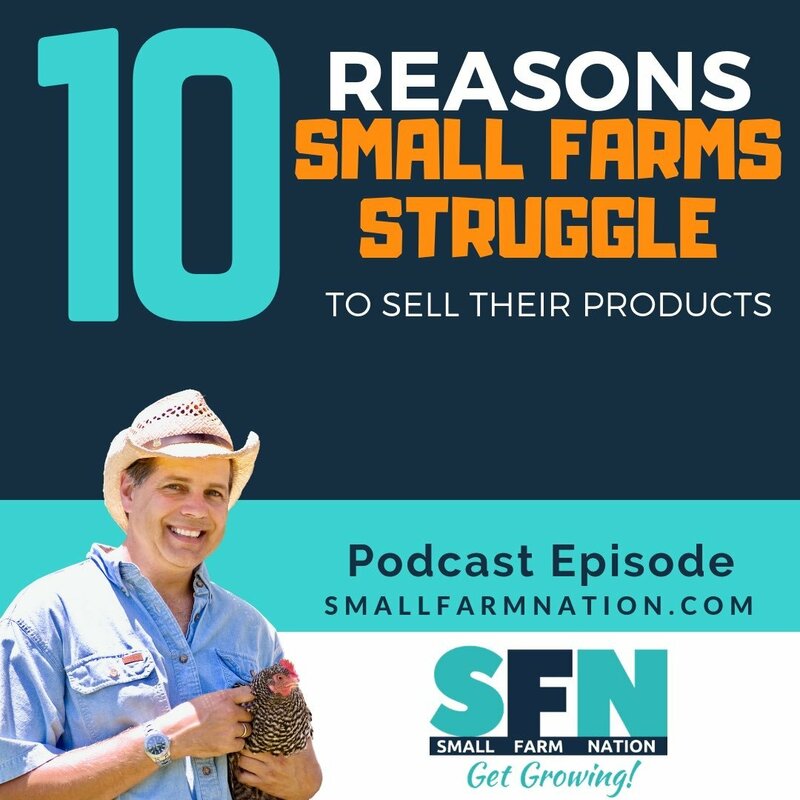 The thing that we’re able to give people that you literally can’t get anywhere else is one place where you can access a multitude of small farms and you can buy it directly from the small farmer literally to the name of the farm on each pack of meat. No one else does that. Tim Young: [00:17:36] So you actually you actually that you actually preserve the branding like when it goes when he goes to the USDA processing department I say yes. What will you see that. Joe Heitzeberg: [00:17:45] That’s very common in this world of course is the fake farm sounding names you know and you see them with the big as an 86 percent of the 100 million are deep markets controlled by four companies and they’re in each of these fake sub brands and then you’ve got the regional guys and other smaller players that create these for Sunnyvale farms or like all these crazy farms sounding names and they’re not farms at all. And then they go and source thoughtfully from whatever industrial broker that can finance a those price that week. It’s a commodity and it hurts the farms. Our point of view is like I don’t want to create a fake anything. I’m a marketplace. I’m a brand that empowers consumers to have better decisions. I’m a movement. I’m an online store. I don’t pretend to be a farm. I don’t use stock art photography. I don’t lean on marketing buzzwords or confusing labels. I don’t use punitive certification programs and attempt to narrow and squeeze producers. I’m not try to source a narrow type of beef to get some kind of arbitrary consistency for some restaurant customer. I’m looking for the opposite. I want to find all the varieties and splendor of craft to meet small batch small batches produced by people who actually care about the animals how they raised how how those animals have been raised and clean what they eat and how they take care of their land how they’re continuing their own family tradition how they support their own communities. Joe Heitzeberg: [00:19:13] I want to bring that connection to the real person behind it so that the dinnertime experience can be meaningful. Like when I’m eating beef with my kid I’m like yeah let me talk about this farmer this farmers in Bernie Montana and she raises one hundred percent purebred Wagyu you but it’s grass finished. So it’s out there on hundreds of acres of green grass in Montana. And she leaves the horns on because that’s more humane. She believes in her land was got came into her family from the homestead act so she reached into her cabinet showed me his papers. I was president of the United States signature on it. And like we’re supporting her in her family’s effort to continue that tradition. And along the way she fought off people who want to come in and mine the land strip mine and run railroads through it and other things that would damage the ecosystem there so I feel pretty good about eating our meat. And oh God I know it’s more delicious than anything others find in any store because while you can get what you breed is pretty dang unique and you can’t find it anywhere. A lot of the stuff when you see one of you on the menu space anyways. Tim Young: [00:20:21] We’re gonna get it. We’ll get to that in a second I want to I want to go into that but you know this sounds to me like the fundamental value proposition that you have is that many people want to support local farmers but it’s just inconvenient. So crowd cow makes it convenient for both the consumer and the farmer. Is that pretty accurate. Joe Heitzeberg: [00:20:38] Yeah with a you know within an umbrella of higher quality you can find other places tasting better better for you and then access to that variety. Joe Heitzeberg: [00:20:49] The discovery of like wow it’s not a commodity is a big part of it that you step in maybe finding us because you want to know that you’re supporting a small farmer you want access to higher quality right then you step into our world and you realize oh my gosh there’s these different varieties and this is more like chocolate or wine or microbrew. Joe Heitzeberg: [00:21:10] Like I can experience all these different things and it’s fine. So it’s a human connection transparency and access to quality of variety. You can’t get anywhere else. Tim Young: [00:21:18] Let’s touch on labelling and production standards for a second. This will be very interesting to hear your evolution of thinking on this because you came into this brand new as I did 15 years ago and of course marketers are very good at obfuscating what anything means with grass fed grass finished grass fed and green finish. I mean unless you really know the farmer these things don’t tell you anything. They don’t tell you what type of grass will not lead to be more what the animal husbandry protocol is. I mean grass fed what I’ve learned from talking to a grass fed isn’t what people think it is. I mean you could see a sign I see signs on the side of the road. You know we have grass fed beef but they mean they could be eating moldy hay from low protein perennial pastures to and call it grass fed. So when you started sourcing this beef what did you learn and what did you find about. Joe Heitzeberg: [00:22:06] Yeah it’s funny that you mentioned that I was like if we wrote a book on on a lot of these topics called Kraft beef actually is available on Amazon but just because we were in situations as consumers going direct to the farms and learning first principles that we’re just getting smacked across the head with like epiphany is like you’re kidding me. I had no idea. And I kind of represented at the time the typical consumer right which is like well I kind of heard the grass fed is healthier so I’ll buy that you know. And then you go to the farm and you’re like well there are many kinds of grass. Know I really won’t tell me more. And we’re our first farm does it ever. We’re driving out there down one of these roads and there was one of those signs that said grass fed beef had a phone number on it. So we toured the farm learned about after Sadat signed on the road is out yours. She has no I go wow great. We’re looking for more grass fed beef because you know we’re in these small farms grass fed beef you know. So you introduce that farm. The other one. And she’s like I don’t know that you want therapy. Joe Heitzeberg: [00:23:09] And I was like Why not. It’s grass fed random just like typical dumb consumer at the time and she’s like well you’ve got to understand in the winter around here the grass doesn’t grow you know. So you either either have enough grass on your own that you can bale it up and feed it in the winter or you don’t. And if you don’t you got to buy it. And if you’re buying it you’re buying good stuff or you’re not. And if the casket skinny you’re not eating healthy stuff they’re not going to taste good. Then you get all lean and funky tasting. And I’m like wow I’m just I’m blown away by that. First of all like That’s a lot of the reason why a lot of people will say aggressive doesn’t taste as good or taste of gamey but came from that. It probably did I of course with crowd count had so much. Yes I mean that’s marbled into us people like Are you kidding me. This is grass. Yeah done right. It’s incredibly delicious and agreed matters to you know how it metabolizes its food different breeds will taste different different fat levels anyways. But I said How do you know this how do you know ask the farmer how do you know that other farm doesn’t buy grass. Joe Heitzeberg: [00:24:10] What do you know. You know how do you know that. She’s like well in this part I’m the one selling grass. I have more land than any of the farms around here. I had a surplus of grass I’m the one selling it and they’re not buying it. I was like Okay that’s interesting you know that sort of helped us to start to develop a criteria of things to look for positive signals. Someone who’s got a surplus of grass is green grass fed said that they’re selling it to other farms. It’s a good signal it’s positive. Another positive would be they’ve got a closed herd right. They’re specialists on a certain breed. That’s a good sign. Another good sign would be they’re carrying on their own family’s tradition. Another good sign would be they’ve got conservation efforts with regards to the local ecology. Other good sign would be they do support their own community with volunteer work and efforts like that. Another good sign would be etc cetera. They have a point of view on certification programs whether they’re doing the certification program or there’s chosen not to. Joe Heitzeberg: [00:25:06] They can tell you why because you know we get into the certification shenanigans if you like yeah I get it I get it I get it completely and I agree with everything you do that and what you just said of course is diametrically opposed to you know the industrial meat system. Tim Young: [00:25:23] And I’d like to talk about that for just a second because even though it’s a small minority of Americans there are a lot of farmers and consumers who are increasingly disgusted with industrial farming and they just they love to condemn it. But you know listen even some of those industrial farmers are themselves disgusted but they feel trapped by the system they’re in these big contracts and I’m wondering given that you’re someone that came from the outside into this world how do you think we’ve got to this point of animals and meat being produced industrially. Joe Heitzeberg: [00:25:54] Well I my my theory is that it started actually like way back even towards like I think it’s heavily tied to the development of the logistics to perishable product. And so when railroads came or refrigeration came these different innovations allowed meat to be transported and distributed in more efficient ways. And so that changed the nature of how we sold or where it came from where the pricing and pricing is all mighty important thing in the consumer’s mind right. Low price OK you get more of it more bigger better best lower price mentality in this country. Now that was also driven I think by post-World War Two I think there was a different time that we’re in now. I think right now what consumers want is not that but what got us here in part I believe was not anyone’s fault. It’s not like there’s some evil entity that’s trying to screw everybody. It was more and came from probably a very positive optimistic person right and very open minded. I think it came from a we just got done with the world war two. How can we get proteins people need proteins. How can we get protein to the masses cheaply. That’s very different than like how can I have the best steak in my life with my buddies on Friday and like you know the system that got us nice meat shipping and shipped in from containers overseas and commodities slaughtered hundreds an hour for the low price high marbling because all they care about the rating you know the marbling flavor that doesn’t serve me when I’m like I want the best meal my buddies on Friday or what am I speeding my child my family what I want to feed my family not only me but consumers in America as a trend is something that was connected to the farmer and the farmer cared. That’s Kraft meat that’s very different. Tim Young: [00:27:51] Yeah. And that’s definitely definitely growing a trend and you’re real. I think a real well position to not only capitalize on this I kind of hate saying that we’re capitalized because that’s got the wrong connotation. I’m all for anything that connects people to where their food comes from because we’ve all abdicated that responsibility to large industrial producers. So how does your business work. What are the technological and organizational challenges of working with multiple farmers and multiple butchers. Joe Heitzeberg: [00:28:20] Yeah there are many. You know I think that’s when one of the things that we have this unique offering. Well it also means we we are building we’re doing it in a different way than everyone to like Don’t ever call a beef broker ever. We are 100 percent from individual farmers. No one has that and we’re putting their name on it. Like I said we’re not a farm brand. We’re a marketplace or a movement or a community. And so we want to shine the light on the producers and that’s a very deep idea that we you know we could spend hours on like our philosophy is like I don’t want to tell farmers what to do. And I don’t want to tell consumers what to use everybody else seems to want to do those two things. Everyone else if you peel it everybody’s really all these certification programs whatever just try to tell farmers what they can get consistency or low price out of the farmers. Tim Young: [00:29:14] So if I can just stop there for a second what you’re really what you’re saying I think is you don’t you don’t mind necessarily whether you sell a product that’s grass fed beef 100 percent or grain finished you just want to make sure that you have complete transparency so that both parties can decide on have complete transparency and there are a few other factors in terms of the quality and ethics of it. Joe Heitzeberg: [00:29:34] No we’re not buying from brokers and that means we’re not buying from concentrated feedlots ever or anything like that. So we’ve got grains finished but it’s Kraft. It’s like yeah we grow our own peas and corn at our very first grain finished operation we went east Washington to dry climate and we had customers asking for it by the way. We had customers we like I love the idea of the farmer and the connection. But like I like the flavor great finished. Is there something that can give me the best of it. Well I don’t know actually but like we’ve found this farm the very first one we worked with it was green. I remember going out with him and and asking em like well why don’t you do grass fast. You’ll make more money you know the bigger tribe will grasses that grow out here. And you know here’s to the corn being pointed over the corn fields and grasses on corn. Oh so the corn is the grain. I got so naive at the time. Yep we grow that corn was you Jim. And I go okay. That’s what we’ve just been up on horseback to see these cattle grazing up into this little land a mountain land most gorgeous thing with Fred rotating from fresh pasture to fresh cash grass up in the hills and then it come down right in feet out with the corn. So I’m like Well where do they feed us. Like do you send them off to the feedlot or where. No we don’t send them off anywhere it’s all here on the farm. Okay so where where do you feed them. He’s like right here where we’re in the feedlot right now. Joe Heitzeberg: [00:31:01] And I’m like and I was like I’m just blown away I’m in a feedlot. This is a feedlot. You’re kidding me. You know because the feedlots that we hear about are the we smell from miles away on the highway and industrial feedlots are not what this is. This is not a feedlot. This is a place on the farm where they’re caring for these animals and feeding them the corn they greet right there on the farm. And this was a fourth generation farmer doing that way forever and they do that because that’s the environment they can. Tim Young: [00:31:32] But I’m guessing but I’m guessing here. He had no way probably to bring the finished product to market so he was probably selling it sale barn or something. Yeah. Joe Heitzeberg: [00:31:39] I mean we’re we’re getting into Washington is so far from cattle country that actually these are pretty small scale and they’re not like feeding off of the industrial system at all. So he’s making it work by. He was making it work by selling off in his local community. I keep our beef from the local independent Burger store. They actually have their own grocery kind of store plus meat counter. Joe Heitzeberg: [00:32:01] You know whether it sells to this very rural place in Washington. A lot of their beef. And then beyond that that was kind of struggling. So we were like I’d love to get this on our Web site. So it shipped off to like everybody in Washington and you know and we’re expanding to Portland said in California. Now we’re nationwide so people all over. I’ve been on the West Coast and enjoy their beef everywhere. So and it’s actually been their beef actually to finish that story. Their beef is one of the two farms that we use for Shake Shack here in Seattle from sheep Chuck signature burger. And it’s incredibly good. Tim Young: [00:32:35] So I was gonna say How does that work actually. You know as someone who’s run a farm before and I used to raise Murray Murray Gray beef cattle and had you know granted decent sized herd of that so let’s say you came to me and I said Yeah I’ve got some cancer I’d like to sell you know but I’m located far from you. How does that work logistically are you sending a truck and picking up as you go into a local. Joe Heitzeberg: [00:32:52] No local would have all local or local processing it’s super important for the quality of the beef and the treatment of the animals that you’re not shipping them around. That’s where we’re the guys who don’t want to do that right. Like we we we don’t believe in that because again it’s not like because the farmers told us if you want the best quality don’t do that. And the best farmers advocate against doing that. Tim Young: [00:35:23] You mentioned craft meat a couple of times already talking about their small batch birth to harvest type thing or what’s your definition of craft meat. Joe Heitzeberg: [00:35:30] Yeah yeah. Small Batch birth to harvest high quality specialized on a breeder of flavor tradition and ethical standards that are high. That’s what that’s what we mean by that. Joe Heitzeberg: [00:35:41] Heritage breeds when you get into chicken and pork and things at this you know a you know in my experience pork chops and steak are pretty easy to sell but small farms often have trouble selling specific cuts certain cuts you know particular when you get into organs and things like that. Tim Young: [00:35:56] So how does crowd cow partition and sell every cut from the animal so that nothing is wasted. Joe Heitzeberg: [00:36:02] Yeah. So in the beginning it was crowdfund a cow so we literally wouldn’t even know the event wouldn’t wouldn’t ship unless you answer.Yeah you know here’s the beauty of it is the beauty of the model is like when you think about like a farm in a real community try to sell in their rural community. How many people in that community want. There’s a 1 liver on every animal. How many people want to buy it. Every time you get you know so but when you widen out the geography and you think about online marketing and different even ethnicities right cow tongue is a thing that’s very treasured in you know Korean barbecue and Mexican cuisine. And like if you’re from one of those communities and you go to your grocery store here in Boise Idaho you know when you want cow time for a party you’re having you know and you’re Hispanic. That’s your family’s favorite recipe. You can’t even find a time in the grocery store. Tim Young: [00:37:00] You know Joe you know related to that. I mean over the years I mean I’ve raised like I said Murray Grey beef I raised cattle and sheep I’ve raised all kinds of turkeys and chickens and possible island pigs and all these things and to this day people ask me What’s my most memorable farm meal that I’ve had. It was pig brains for breakfast and I ate I would have never in my life eat something like that it’s all I started this. But you know you have but when you get it my customers all bought the stakes and pork chops and that left us with the organs and things like that. And that’s the good stuff. Joe Heitzeberg: [00:37:29] Yeah. I mean my point of view it’s just with online you definitely gain back and efficiency that you can reach more people who have and then you could also inspire people to try things like we send a lot of little emails and things like hey I noticed you about this one did you try that. And we supplement with recipes and online inspiration. If we find people doing interesting stuff with the other cuts on social we amplify that to inspire others to give it a try. Tim Young: [00:37:55] So your site for a long time I think talk mainly about beef but now you’re saying craft meats and I know now to says Pastor chicken and pork and things like that and in fact one of the one of the farmers I talked to recently Greg Gunthorp and I think he’s on your site as well. So what do you what are your plans in that area in terms of expansion into other meats. Joe Heitzeberg: [00:38:15] Well definitely beef pork and chicken. You know we are looking into lamb and some other things. I think we’re going to be we have the copper river salmon which is a very specialty type of salmon with a particular boat that we know that the boat the fisherman. And that’s been very successful and we like it. Joe Heitzeberg: [00:38:34] We’re a little cautious on seafood only because you know are our premises always back to the source high quality traceability access to the variety and with seafood. The sad thing with seafood is although there is an opportunity because there’s so much confusion seafood over whether it’s overfishing and the Wildcat side or it’s the antibiotics used in the farm side consumers are confused and they want to make the right choices but they’re not empowered with information or choices to make the right choices. And so it’s a scary purchase to make sure it’s healthy I should buy it but I don’t know if I’m contributing to something whether you’re buying salmon. We don’t know where it came from. Chances are you’re contributing to something horrific. And if you look carefully Costco’s adding orange food coloring to it. So I think there’s a ton of opportunity for crowd carrying seafood but I’m cautious because the fact of the matter is something like 25 percent of all seafood is illegally fished. So you know how do you source direct from the farm when there’s no farm as a boat. The boats 200 miles out to sea you know and it’s traded hands when it’s you know so many times we like to be direct. I like the fact that I can look at all of our farms and I know them on a first name basis. And we know that first name basis everybody in the whole chain up to the guy putting in the to ship it to you that’s important. Tim Young: [00:39:56] So you know Joe you’re really starting this process of opening the consumer’s eyes. I mean what’s happened of course is your eyes have really been widened the last few years and now you’ve got consumers who are just used to going in and buying the you know whatever from the grocery from the meat counter and now they’re seeing that not only are the real farmers out there there’s there’s very different types of animals I mean there’s beef from different animals there’s pork from different animals. I mentioned that I’ve raised Ossabaw I’ve raised Berkshire pigs have raised large black pigs I’ve raised Ossabaw pigs and I can tell you there’s a humongous difference between the carcass quality and the bad taste experience in those I’m going to say good or bad. There’s a huge difference so that’s something that you see yourself not just offering pork but making available these different breed. Joe Heitzeberg: [00:40:39] Yes yes that’s yes that’s 100 percent the whole vision. Absolutely. That’s that’s it in a nutshell. You should know the name of the farm and there you should know the breed and you should be experienced all the things people already do this on track all the time they have tasting flights. We see it on social not today I’m tasting. Joe Heitzeberg: [00:40:55] If they buy something from different farms and different breeds we’ll point that out to them and the email will have a note on that and we’ll say we want you to know you’ve got two different breeds of beef and three different cuts. Why don’t you test out the different flavors be attuned to that it’s fun it’s exciting we want people to discover that because that’s words that for me that was a huge discovery. You know how much better it can taste any any pork for any of the breeds you mentioned raised responsibly. Well it’s a shame you have to call it pork because anything called pork in the grocery store can’t compare at all to it. Chickens. Yes. Tim Young: [00:41:36] I mean Ossabaw pork we have three inches to back fat on and I mean it’s the opposite of what you get in a grocery store. Joe Heitzeberg: [00:41:41] I took some beef down to Texas to a pretty famous barbecue joint and they were eating the raw fat. They were like this fat is incredible. They’re getting it. Such beef geeks you know they were similar to beef they never seen anything like it. So high quality right. And they were just like this is marvel. You know these are people who are experts in Texas on barbecue right. Tim Young: [00:42:03] I can tell you first thing that’s true Joe I mean I grew up for whatever reason that you know you cut away the fat. And you know I haven’t bought meat from a grocery store in 12 years now. You know so when you grow these kind of animals and eat that. I mean the fat is the best part of many of the dining experiences. Joe Heitzeberg: [00:42:21] We have the flavors. We have to warn people whenever we pick up a new team number and crowd can we like warning you know after you work here you won’t you won’t be able to get water hamburgers outside at restaurants anymore anywhere except for Shake Shack in Seattle because we have our beef but you won’t. You’ll do it because the idea that you spent 10 bucks on a hamburger and it’s worth zero to you now because the plane is not there is throwing the money away. Tim Young: [00:42:47] So. So you know of course you know one of the. I mean I love the story of course and you’d expect I would have what you’re doing. But one of the downsides when you go to the industrial meat machine one of the things that they’re good at doing is producing things that are fairly consistent. And then when you go to many different farmers and many different breed you’re going to have things that are not by definition that might consistent so I don’t want you taking a bite of my steak. Joe before you sent it to me but do you guys have any process for you taste or inspect the meat before. Joe Heitzeberg: [00:43:16] Hundred percent. Well we don’t we never sell anything that we haven’t spent a significant amount of time on the farm and we haven’t taste tested. So we’re getting samples all the time from different perspective farms. We meet a lot of farms and we work with various to you and we taste test everything extensively and there’s seasonality involved too as well. So we monitor that also through the feedback from our customers. So we asked them what they thought. We mapped that data. We shared the data back to the farm so we can actually we noticed we had times were like Hey the ratings here are going down. What’s up guys. And they’ll go Oh my gosh. So they can make changes and do a better job on their side. So it’s it’s a new that’s. 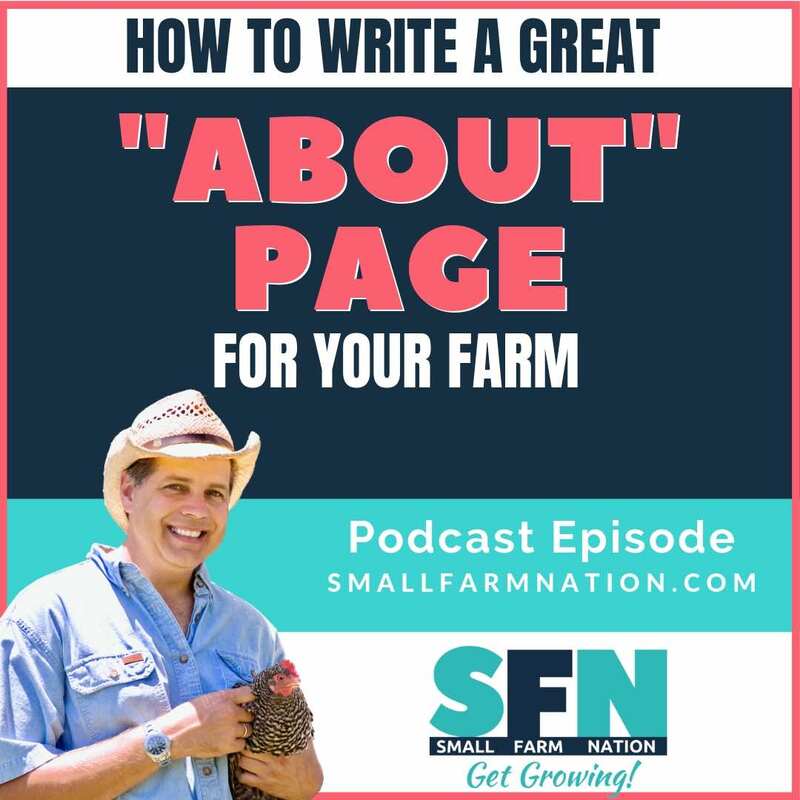 Tim Young: [00:43:54] That’s a really good point because I mean in my experience a lot of farmers when they sell their products they’d never get any feedback and they don’t know so what kind of feedback are you giving to them. Let’s take that example you just made what would cause the farm’s ratings to go down. Was it be a feed change or something or what? [00:44:09] Seasonality in the grassfed world it would be seasonality and a different lower protein dried grasses towards the later part of the season in fact it can be depending on the part of the country that can be extremely severe. Right. There are places where there’s twelve feet of snow in the winter. Right. So you’ve got to if you’re doing grass finished what’s we’ve got to understand what’s happening in the winter. Right. And there’s places in northern California southern California with the grasses more consistent year round so that those things will cause differences absolutely throughout the year. Tim Young: [00:44:42] So we’ve kind of touched on many of the benefits to consumers of that that are derived from a relationship with crowd care. We’ve had benefits include they don’t need to have an entire freezer it’s easier to buy. They know their food source. Those kind of things. What are the benefits. What are the benefits to farmers you know from having a partner relationship with you guys. Joe Heitzeberg: [00:45:02] Yeah. Number one is they’re going to have access to a lot more consumers to is they’re going to know they’ve already got a full time job. If they want to go direct to consumer farmers markets it’s a lot of overhead in terms of the marketing support logistics going out there every weekend sort of being with your family and you’re only accessing kind of the community and it’s going to have an old farmer’s market. I use a you know my one of my early epiphanies was you know at some that our growth rate you know early on I was like We’re gonna have more customers in the neighborhood I live than the farmer’s market in the neighborhood I live. Has customers simply because I know in the neighborhood I live on Saturday and Sunday when the farmer’s markets open. People are busy they’ve got to wash the car they’re going to take the kid to swim practice they’ve got to run errands they’ve gotta go. You know different things. And then you got to drive to the farmer’s market find a parking spot. I’m just saying nothing wrong with farmer’s markets but it’s a very limited market. It’s inconvenient for both consumers and for farmers. I haven’t met a farmer that likes a farmer’s market. Tim Young: [00:46:07] Well I can tell you also from from somebody who has once sold meat there you’ve got to pack up frozen meat you’ve got to drive usually at least an hour or two to a farmer’s market and then what you don’t sell. You got to pack up and bring back in exactly freezer. You got a freezer on your farm to put it in. Joe Heitzeberg: [00:46:21] Yeah we saw lots of freezers full of really old meat and damaged meat because when it thaws and refreezing that’s not good for it. So yeah we had a lot of benefit for the farms the farms that we are working with today that used to be in farmers markets are no longer in farmer’s markets they’re much happier with us they’re selling more juice. And then the final thing is they’re getting credit for it. They gets their name on the package their name and the social media in the email and the website that feels really good. And it’s part of that bringing people together thing that I think is just fundamental and important. Tim Young: [00:46:54] Yeah. So I mean to me that makes a lot of sense that there’s a number of benefits there to to small farmers they get the branding there’s no need to travel to farmers markets or to delivery drops there’s no need to travel to meat processors because when you go to a meat processor you’ve got to go twice. You’ve got to take it. Tim Young: [00:47:07] It’s got to be dry aged for two weeks then you got to pick it up. You got to bring it back to the farm put it in a mobile freezer there’s no need to create. You don’t have to. It takes away some of the pressure of creating a market since Krakow was doing that for them and many farmers who do this are in very rural areas and they have trouble accessing markets. So those all make a lot of sense for farmers. But a minute ago you said that. Yeah I think I kind of inferred from what you said that you have more farms that want to join you then you have capacity for so are you looking to add farmers or not. Joe Heitzeberg: [00:47:39] We do. We do add farms struck what we’re adding though is when we find exceptional quality or unique varieties then we add and we experiment while there and we’ve got a difficulty in the last year a focus has been to add the other proteins and so in that direction. And then of course as we grow we add more not just from our existing farms but the new farms. But the ratio is pretty you know we have a thousand farms kind of signed up and sold out profiles who have expressed interest in working with us and we only have only nearly 100 in the United States that we work with from about 22 states let’s go back to the entrepreneur side and forget about the whole farming and the food side and which is what our values are you know we’re both. Tim Young: [00:48:23] We’re both kind of mission driven wanted to do that. But from the CEO side is that gap because of the demand side that you need more demand so you can bring on more farms or is it because you have you’re basically putting in place a crowd cow protocol or standard. And you don’t have enough farms that are meeting your standards. Joe Heitzeberg: [00:48:40] I would I would say it’s a little bit of both. And then the third thing is logistics. You know it’s not you know if it was selling music downloads then it be easy to onboard a lot. Right. And we do want to protect the integrity of the brand and the of the super high. Very selective standards for quality and taste. What’s even. Even so it’s not theoretically possible to add a lot. Given the logistical overhead these are animals they’re not steaks and you have to Courtney don’t supply chain to get them out to people. So that’s a that’s definitely a constraint for sure. And then of course demand has to be in lockstep because you know we’re partnered with our suppliers. We win together and we want them to really invested in us. And the model and the mission and feel like they’re investing together with us for the upside we both get out of it. So we have to be selective about the partners because we have to be raised to believe that they’re good people and we believe in the ultimate mission as well. And that’s another thing is not all the ones we’ve met with ad that year. Not everyone is you know. So anybody who’s over the age of eleven. I hate to break it to you. Joe Heitzeberg: [00:49:54] We’re not all good people. You know you’ve got to know you’ve got to find people who are honest and work hard together. Tim Young: [00:50:03] These partnerships work when you find people. There’s a lot of there’s a lot of mutual benefits here. You know if if people recognize as mutual benefits but sometimes people want to dig in their heels and they don’t recognize the mutual benefit. Joe Heitzeberg: [00:50:13] Yeah and there’s shenanigans in the beef world not from the producers typically but so many shenanigans like we’ve seen so many mistruths and mislabeling and we’re just completely bonkers things mainly coming from the industrialized side of it I think. But We’re we want farms to get it. You get like the values like get transferred. I got nothing to hide. Joe Heitzeberg: [00:50:37] I want to be who value that connection the deeper thing I mentioned the transparency that’s really very important. Tim Young: [00:50:44] So in your model let’s say let’s say I’m a farmer and I’m raising Murray Grey beef cattle and you take a look at them and say Yeah I’d really like to do this. And I’m used to trying to sell it and sell it and set my own prices how to how do we set prices with you. How do you come to a price point do you. Is it fixed per animal or do you negotiate that with each farmer. Joe Heitzeberg: [00:51:04] Well in terms of the pricing paid to the farm and there’s the pricing on our website both of which you know are variable right. We’re not a full open unconstrained marketplace where you can come into our presence and we’ll just take a cut. We do have that model of a marketplace. In some cases but really today we have a really good sense of what our demand is what customers looking for how things might compare to other types what things that are more rare and special versus more common. And we use that data to influence how we’re going to merchandise things and position it. So you have something really unique and special and rare it will command a higher price on our site and we’ll be willing to pay it a little more for those types of things. On the other hand there’s the partner aspect you know the vineyard where people are and their availability to to slaughter and the logistical cost. Once it’s cut and wrap to move around and read we’ve got to make the business model work for both of us. Tim Young: [00:52:28] What are the marketing tactics that you’re looking at that are going to help you to be successful. Joe Heitzeberg: [00:52:33] Yeah I mean we’ve invested a lot of this in our website content in our videos and emails and blog posts information that helps customers have a deeper understanding of what they’re getting to see beyond just the labels and the buzzwords and feel like they’re getting more high fidelity in terms of their purchase and selection. That’s a big component of it having a great customer experience right from the moment they order to the delivery emails to estimates that goes out before it ships to like weather alerts if there’s a disruption with the delivery to like post order survey to like the box experience a handwritten note all of that stuff contributes to your customer experience where they’re happy where they are informed you know it’s delicious and they’re going to come back to get all of that somewhere and then importantly for the marketing and getting the word out is when all that happens the content merchandising the great experience we finally talk about it they say oh my gosh you’ve got to check this out and you know overwhelmingly our customers have come to us because someone in the real world told them about it. I heard about you from this or my. You know we get e-mails like that all the time too what’s like well I’ve been telling my foodie uncle about you guys and I finally just gave him a gift and he was blown away. Now he’s going to be your customer directly all that kind of stuff. So it is really important to have high quality high standards great user experience so that your customers can get the word out for you. And we do of course online advertising you paid ads and search ads and things it best to promote different things on different channels online which will maybe looking for you know you don’t when you talk about a great customer experience. Tim Young: [00:54:17] And you’ve also talked a lot about your commitment basically to sound ecological principles and you and you show that by the type of farms that you try to try to support. Tell me about let’s say I oversee the crowd cow package in the mail. What tell me about your pet your commitment to packaging what that looks like. Joe Heitzeberg: [00:54:36] Yeah. Thanks for asking. We read recently just kind of reversion to our packaging actually we just rolled out our latest version our latest version is 100 percent recyclable and biodegradable materials. So the important thing to note about that in terms of the biodegradable is recently if you’ve read the New York Times a lot of the countries like we we recycle we have recyclable products as a country right and goes into recycling bins and you feel good about it as a consumer. But the sad truth about that actually was a lot of the recyclables were actually getting shipped off to complete it in container ships to China to be recycled right. China recently said We don’t want those anymore which has caused them to go into landfills in America. So whether or not it was garbage plastic or 100 percent recyclable it’s going in a landfill. And so a lot of the quote eco friendly insulation most potent products insulation. How are you going to keep this perishable product cold. There are Styrofoam which is not environmentally friendly but a very good insulator and also very inconvenient as a consumer to to deal with in terms of disposal but not environmental good story or there’s various eco friendly packaging that are recyclable. The problem is whether it’s recyclable or not if it’s going on a landfill who cares. So we’ve found and rolled out a 100 percent biodegradable insulation it’s made from a 100 percent non GMO corn starch material and it looks like a foam but it’s it’s literally just a bio regrettable fact that we don’t we don’t advertise this but you can eat it I eat it. Tim Young: [00:56:25] Joe Joe don’t advertise that! Joe Heitzeberg: [00:56:27] It tasted like breakfast cereal. It tasted exactly like a certain kind of puffed retro cereal eaten in the past you know and it will literally dissolve away in your kitchen sink. So you’re putting your sink run water over it and it just dissolves away to the water it’s just corn material just natural bio starch corn starch and just goes right back into the earth where it came from perfect. Tim Young: [00:56:52] Well fantastic that’s fantastic. Hey you know you talked about we’ve talked about product extension earlier in the sense that you started with beef and you’re looking at pork and poultry you may look at lamb and you’re basically looking at human proteins to eat for humans. But what about have you thought about the idea of using bones or or miscellaneous cuts for grass fed pet food or anything like that. [00:57:12] We haven’t really investigated you know it’s sort of on the list down of the other things we could probably do to optimize the business. I guess we do sell the bonds. People used to make COBRA and we do ship certain cuts to your earlier question off we’ll make beef jerky and so we sell some of the bottom round top round of beef jerky which is a great way to use that cut. Joe Heitzeberg: [00:57:33] So so Ted your question we don’t. Well we don’t sell and we do wholesale like guess at the Shake Shack. We’ve got another of a number of other deals on the way to sell some of the other beef into the shooter’s world who want Kraft meat. They want the farm story on the menu. So we’re doing that as well that we haven’t done that. I know that human grade dog food is a real thing and I know people do feed Crowd cow to their pets because we’re feeding even if I want you to their pets. Tim Young: [00:58:02] You may be surprised at how many people we sold their raw pastured meats to who wanted it just for the dog that you might be surprised by. but fundamentally we I mean we talk about meat to an eye and of course you know that’s probably where you want to stay focused. But really what you’re doing is you’re bringing refrigerated or frozen farm products to consumers so what about adding farmstead cheese or something like that. Joe Heitzeberg: [00:58:23] I don’t know what the future may hold. You know we’re definitely focused on the natural proteins right now in the of that they are. Our view is this is certainly a big enough opportunity with the meat draw so to speak the center of the meal. Central to your health. Big dollar markets in terms of the disruption that we can hopefully bring with. You know providing an alternate supply chain that goes direct from farms to the big industrialized thing. And so you know cheese is interesting but I think we’ve got a really good opportunity just printing what we do parents salt and we do solid things to make to make the customer experience as great as people demand. Tim Young: [00:59:03] Hey just couple other questions I’ve got I’ve got a bunch of foodie friends that often confuse Kobe and Wagyu beef in case one of them are listening can you actually compare those two phrases that get thrown around a lot. Joe Heitzeberg: [00:59:13] Yeah. So Wagyu you it’s just a word that means Japanese cow. In Japan there are four breeds of cattle that are native to Japan. One of those breeds is called corrugated Wash U or black cow that breed is genetically special it metabolizes its food into the fat inside of the muscle. As this fine grained Marta lies incredible it’s unique in the animal in the livestock kingdom to do that fat inside like it does not that credible intensity that one breed called Kobe beef is a brand name for that breed when it’s raised in Hugo prefecture near Kobe City Japan where it’s raised there and by farmers they’re paying into the Kobe Marketing Association in slaughterhouses and so forth then and it reaches a certain level a 4 or a 5 reading that’s the highest two ratings of Marvel quality then it can be given the brand name Kobe beef. So in Japan there are actually around 300 brands of beef and it’s different regions. So we actually I went to a year ago when I first got Japanese beef never farms because I said I’m going to go figure out Kobe beef let’s go. Joe Heitzeberg: [01:00:28] And I met with farmers that supply for Kobe beef and went to the auction and the slaughterhouse and I said you know what. Tell me about this I learned of all this stuff and I speak Japanese by the way made a light but I learned about all this stuff. And then I said Well what are all the other regions in Japan. They’re like we’re going to get other interesting high quality. Like if you want. I mean they were literally they were pretty frank with this and like Kobe is famous world famous and it’s expensive because of that. Joe Heitzeberg: [01:00:55] But what you really want is that breed and the reading a four or a five. That’s the highest. But if you get that you’re getting kind of that quality but like go down to Congress Shima <sp> where it’s a temporary climate much better for raising cattle. Those guys have been winning awards for the last several years. Go there. So I went there and then they actually could be from Congress Shima <sp> won this nationwide contest called the one year Olympics last year after I went there after I met them. They won the nationwide Cup. They’ve been winning before that too. But it’s better in every possible way. So we buy the five congressional gridlock in Washington which is higher rated than Kobe beef. Joe Heitzeberg: [01:01:36] That’s what we offer on cow and then we have an all of said Wall huge specialty brands from cargo prefecture which is that same breed again rated we do history a foreign A5 of all of that one year. But it’s so niche. It’s the cattle raised but they’re setup pressed dried Olive peels as part of diet and that in part now that imparts different flavor profiles and it boosts the lake acid concept of the fat. So you get a sweetness to it and a health property the mega 7 fatty acids are in much more abundant quantities which is good for your arterial health heart health and the flavor is incredible to melt in your mouth experience with the sweet flavor you know subtle kind of breathy aftertaste of like olive oil that deal and it is very special is on two thousand animals total that are raised in that system in that one little tiny place in Japan. And we really get that beef out for the first time ever to consumers in America. And that’s been real fun. Tim Young: [01:02:40] Wow. Wow. Yeah that’s that’s a that’s a great product. And I can imagine a lot of people wanting to have some some tasting plates or that would be fantastic. 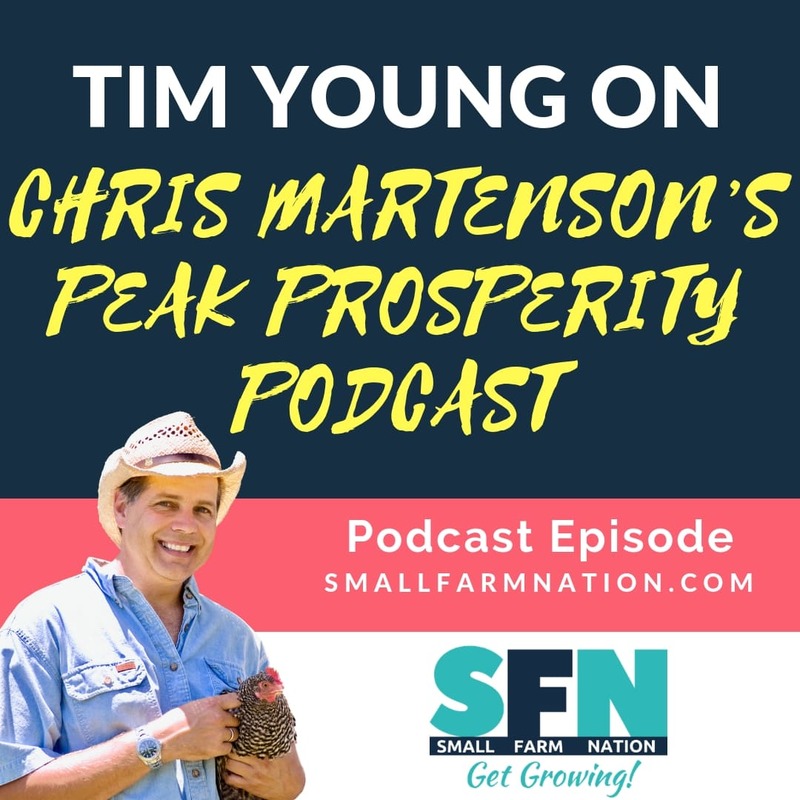 Tim Young: [01:02:49] I’ve got one more question for you that I was really curious about when I knew you were coming on the show and a seasoned entrepreneurs we both know that you can’t spearhead a startup without thinking about the end in mind and that is the exit strategy now for farmers exits ideally and often mean hopefully multigenerational transitions. But as much as crowd cow plays in the farming world it seems to me that is still largely a tech company where exits are either acquisitions or shows. So given that you’ve taken on outside investment from Ashton Kutcher Joe Montana and others where do you want to see crowd cow go from an exit event. Tim Young: [01:03:26] Well I first want to see crowd cow become a skilled alternative to the commodity based industrialized system that feeds us today. That’s a scale alternative to that. So we’re many millions of people are able to enjoy this better quality Kraft meat that we discovered at scale with many many hundreds of producers involved in a marketplace that’s thriving. And I think that that’s the that’s the that’s the goal and something we’re focused on building. And again that’s a very ambitious theme you after and Bill. Joe Heitzeberg: [01:03:58] But it’s such an enormous opportunity in our lifetime that there’ll be plenty of good eggs in terms of like the public markets and others as we as we as we approach that. For me the word eggs. Yeah yeah exit means exit. Mike stop. I quit. Know that’s a failure case that I don’t want to plan for or we’re planning for success in our mission ultimately. So I guess the other definition of exit is like I needed liquidity on my investment you know. Tim Young: [01:04:25] Well well well well the investors may need that I mean but you don’t need to have an exit very what could be an IPO that you’re doing this forever and even even your children play your play a role. Joe Heitzeberg: [01:04:34] Yes. And this time it’s the reality is it’s such a big opportunity of our lifetime. And there’s precedent for it because in my lifetime this transformation to Kraft which we envision for me is it already happened with coffee in our lifetime it happened with beer in my lifetime. It’s happening now. Chocolate and cheese in our country. And these are not small Unimportant categories of food. You know these are multi-billion dollar things beef alone 100 billion we figure. Beef chicken pork etc.. Well no order of magnitude of 200 billion a year just in the U.S.. So taking any meaningful portion of that a meaningful portion of that is informed by what happened with coffee and beer would be somewhere on the order of 25 percent to 60 percent of the market. So do the math. There is a big big opportunity now. If we’re successful in any magnitude against that there’ll be plenty of ways for investors and liquidity to take place along the way even without giving up the mission at all. That’s our goal now. 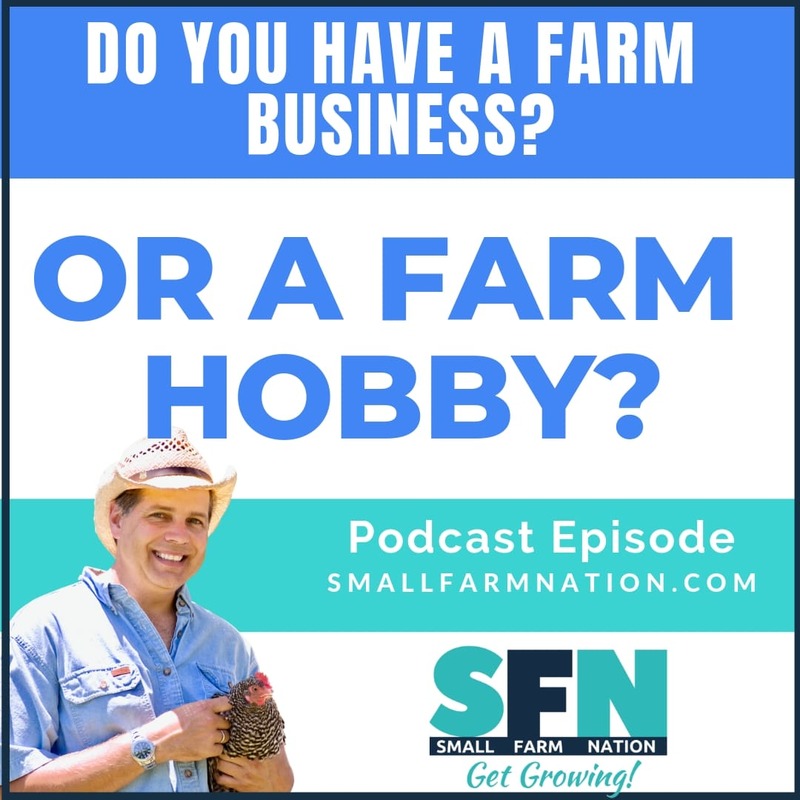 Tim Young: [01:05:39] Great answer Joe you’ve given small farm nation a bunch of reasons I believe to try crowd cow but folks here’s one more head over to crocrowdcow.com/smallfarm and you’ll get 25 dollars off your first order. Now that’s not bad right whether you want to try pasture raised chicken Berkshire pork or even some incredible A5 why you be you can get it now for 25 bucks off. Just go to crocrowdcow.com/smallfarm Joe I want to thank you so much for sharing that offer and thanks so much for being part. A small farm nation. Joe Heitzeberg: [01:06:07] Thank you Tim. It is my pleasure.